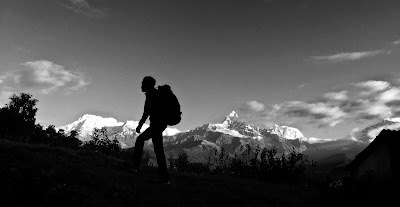 Our brief had been to get pictures of, ‘big mountain views’ – but all Lakpa Rita Sherpa, John and I could see was a dense bank of clouds which had culminated to produce a steady drizzle. The view from Sarangkot's perhaps optimistically named ‘Sunrise Point’ wasn’t looking too promising that Saturday afternoon. A local guest house owner who promised us the ‘Best Organic Coffee on this side of the Himalayas’ (look out Wholefoods) suggested that we pray for good weather… And pray is what we did. Sarangkot, the stepping-stone for a trek around the Annapurna Circuit, was my own personal introduction to Nepal and trekking over 16 years ago. 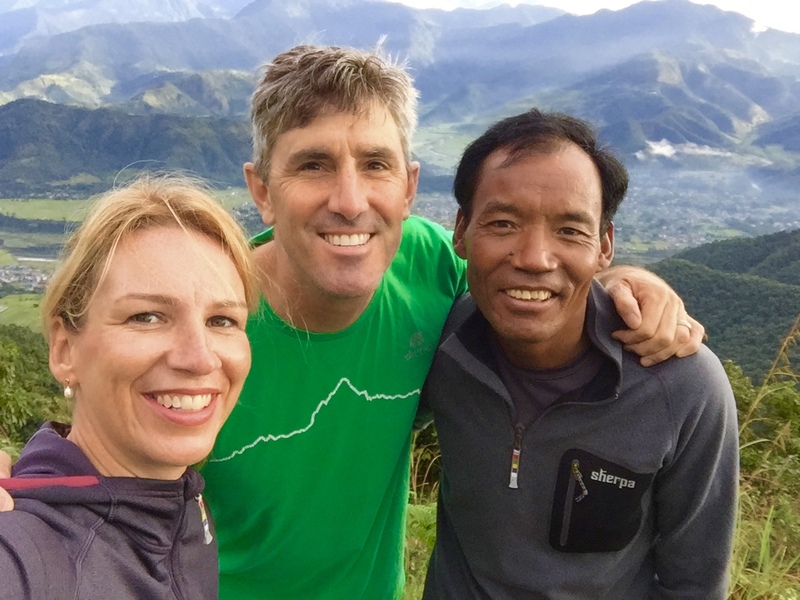 Today I was in Sarangkot with some esteemed company – fellow Sherpa Adventure Gear athlete Lakpa Rita Sherpa (17 summits of Everest to his name, along with numerous other notable peaks and recipient of countless accolades for his achievements in the mountains), and award winning National Geographic photographer John Burcham, on assignment for global outdoor brand, Sherpa Adventure Gear. Despite the dismal weather that Saturday and an even less promising forecast for the Sunday, we agreed to meet in the hotel lobby the following morning for a 6am sunrise – weather permitting. Plan B was a 6am organic coffee in the rain – better known as ‘kit testing’. Despite my many return trips to Nepal, I continue to be left awestruck by the jaw-dropping magnificence of the landscapes – layers upon layers of majestic snow capped peaks, their individual beauty peeled back and their characters tantalisingly revealed by the warmth of the rising sun. From the first time I saw it, one of my favourite mountains is Machapuchare. This iconic peak, also known as ‘Fishtail Mountain’ - aptly named because of its twin peaks and notched summit – dominates the panorama. At 6,993m / 22,943 feet it’s considerably lower than Mt. Everest, but this mountain is in illustrious company – legendary peaks such as Annapurna and Manaslu, both in the “8,000-meter club,” are not far away. 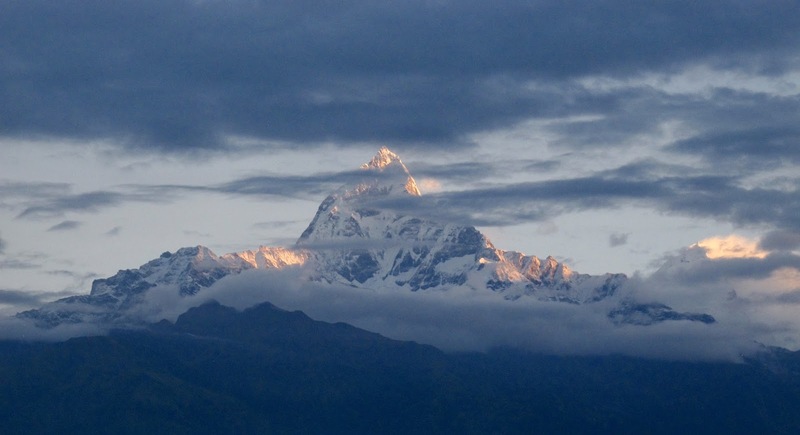 The difference is that Machapuchare, and its isolated summit is considered sacred. It’s believed to be the home of the Hindu god Shiva. Officially (there are reports of attempts in the 1980s), Machapuchare has never been summited, making its ethereal heights one of the least-visited places on Earth. We spent 2 days trekking and taking countless photographs along a small section of trail and never tired of our view of Machapuchare and the fleeting views of the Annapurna range. We regularly found ourselves pausing from our laughter, looking up from our cameras and coffees and staring, mesmerised and breathless, as the ever-changing landscape revealed itself.